Nyon is a freehold residential property located next to Amber Road and is only a short walking distance (130 metres) to the upcoming new Tanjong Katong MRT Station. The Tanjong Katong MRT Station forms a part of the upcoming Thomson-East Coast Line and is expected to be completed in 2023. Due to its close proximity to the East Coast Park, some of the units of this prime residential property will have splendid views of the sea. Nyon stands tall at 18 Storey high and will house a total of 92 exclusive apartments. 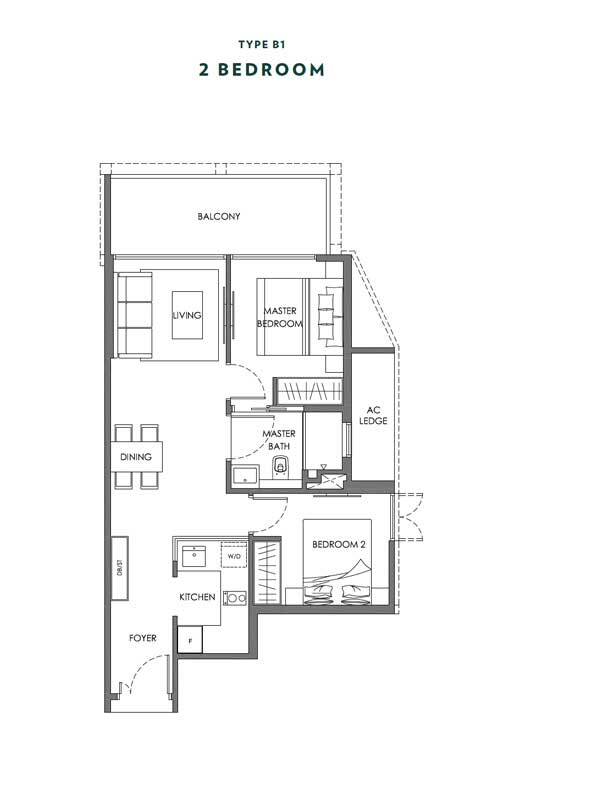 There will be One to Three-Bedroom units of size ranging from 484 square feet to 1,615 square feet. All units will come with modern fittings, elegant furnishings, gorgeous interior and exterior decors and have spacious floor plans and high ceilings. 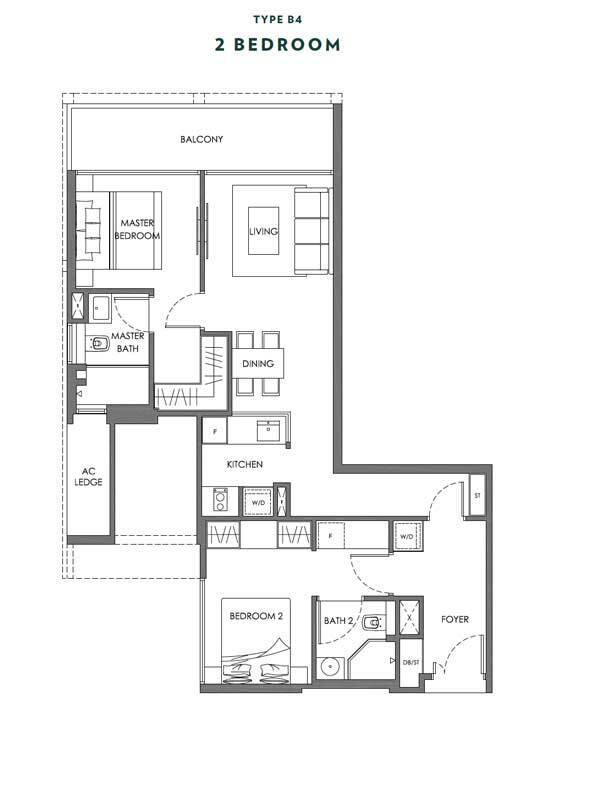 There are two facility levels that are specifically designed for residents. Some of these facilities will include the Swimming Pool, Sun Deck with Loungers, Jacuzzi, BBQ Pavillions, Club House, Treehouse Playground, a Seaview Patio and some outdoor exercise zones. Being just a short stroll away to the MRT station, freehold development, Nyon is conveniently situated near shopping malls, grocery shops, restaurants, cafes, and other food centers. Nyon has many excellent advantages because of its location. It is located in the heart of many food outlets and the street located along the nearby Joo Chiat is known for its excellent goods and amazing foods. There are several shoppings malls that are just a short ride away from Nyon. The Katong Shopping Mall, 112 Katong Mall and Parkway Parade are all within close proximity. 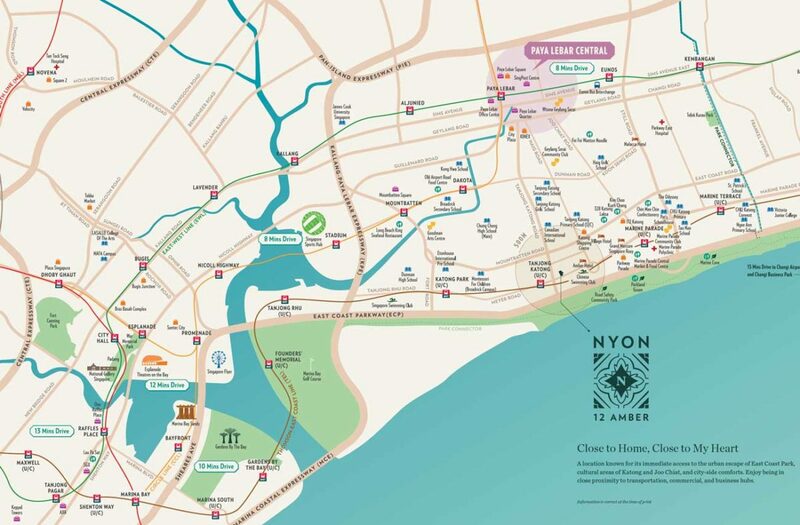 Nyon is perfectly located close to some of the finest schools in Singapore including Toa Nan School, Ngee Ann Primary School, Northlight School, Tanjong Katong Girls’, Tanjong Katong Technical Secondary School, Broadrick Secondary School, Chung Cheng High School, Dunman High School, and Victoria Junior College. You will only be a short drive to the Marina, the City Center, and Changi Airport. Aurum Land was founded in 1982 and since then, has been a leading developer of boutique properties constructing exclusive and luxurious units and condos. Their team consists of people with well over decades years of experience and skills that shows in their excellent craftsmanship. This road connects the junction of Haig Road and Mountbatten Road to Tanjong Katong Road. It is believed the road got its name from a very successful businessman who lived in the area during the 20thcentury. Others believe it got its name from the Malay village, Kampong Amber, which was located near the eastern coast during the 40s and 50s with a blend of Indians, Malays, and Chinese residing there.